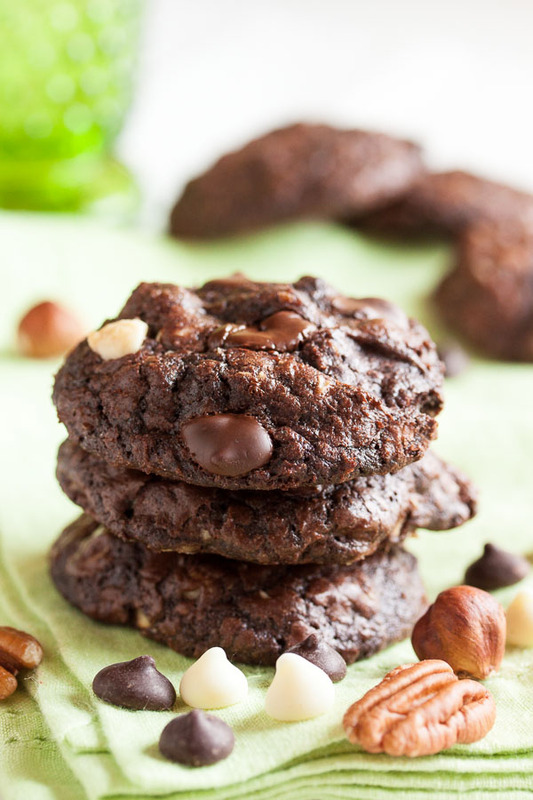 Nutty Triple Chocolate Brownie Cookies | wanna come with? Let me start off by saying omg, this is a good cookie. I was tempted to double this recipe when I saw it only had 1 cup of flour – that seems like a pretty small recipe when compared to what I usually make. But then I saw all the other stuff in there and changed my mind. Good thing too. Because while the original recipe says it will only make 2 dozen cookies, those cookies are humongous, made with 1/4 cup of dough each. I made them smaller (as I always do) and got a very respectable 65 cookies. But they were so good, they didn’t last long in the cookie jar. 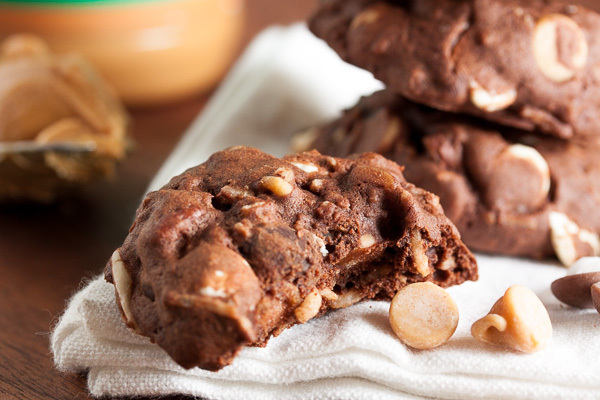 The dough for these cookies is thick and fudgy, and definitely needs to be refrigerated for awhile before baking. 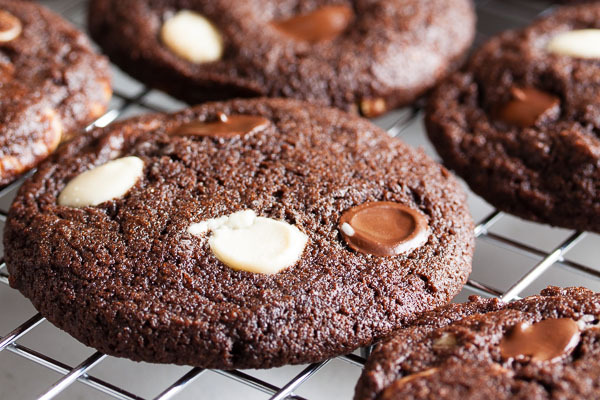 There are no leaveners in here – no baking powder or baking soda – so while the cookie spreads out, it doesn’t puff up, staying dense and chewy. Between having a full cup of cocoa powder, plus a cup each of both white and dark chocolate chips, there’s a lot of chocolate flavour here. Plus crunch and flavour from two kinds of nuts, which is boosted by toasting them both first. Not to mention a hint of coffee flavour. 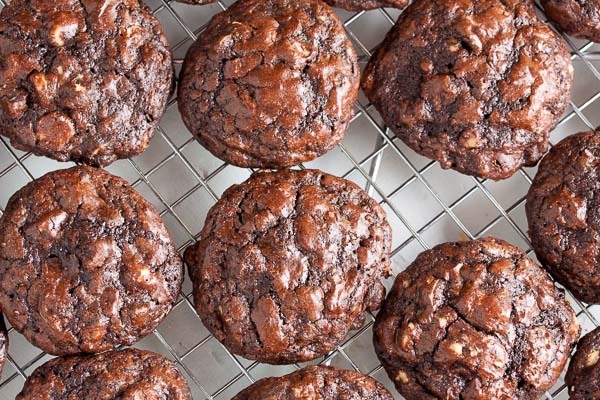 This cookie is like a really good, dense, chocolate-y brownie, loaded with lots of stuff. You know the kind I mean. And check out that cracked top – just like a brownie. Each week when I bake cookies, I have to do a bit of quality control. I taste the cookies along the way to check optimal baking time, whether they’re better fresh from the oven or after being allowed to cool, and whether it’s a good cookie at all. This is one of those cookies that really grew on me. When I tried the first one, I just thought huh, this is a good chocolate cookie. And then I had another. And another. And soon I was no longer testing – I was just eating. This one definitely gets a favourite tag. 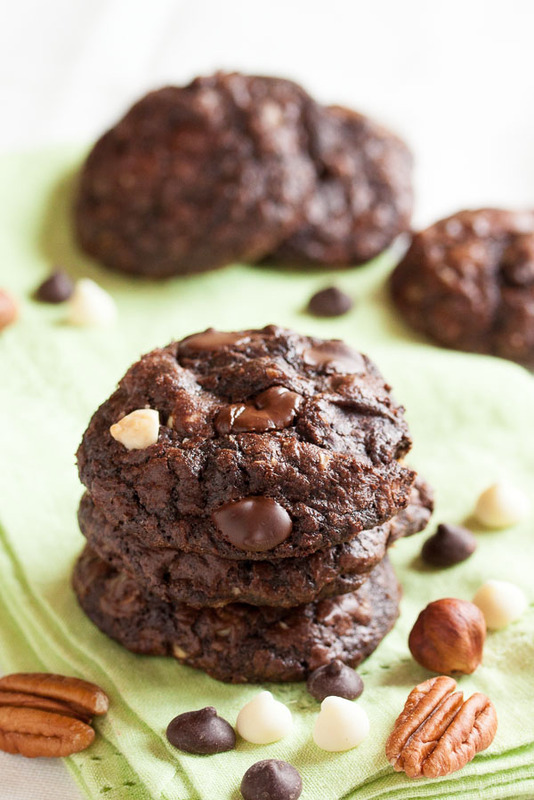 Adapted from "Awesome Chocolate Chunks" from The King Arthur Flour Cookie Companion. 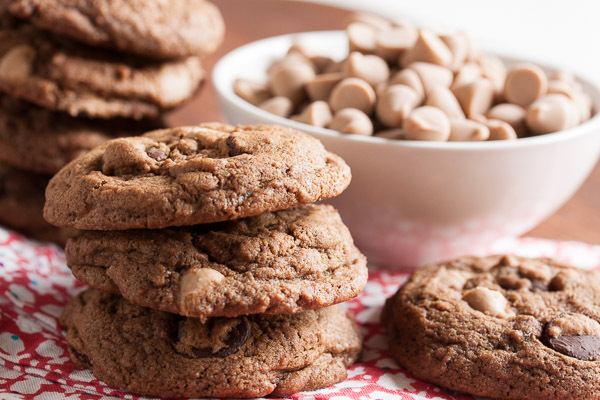 The original recipe says it will make 2 dozen cookies with 1/4 cup of dough each – I got 65 cookies using my usual slightly larger than tablespoon-sized cookie scoop. 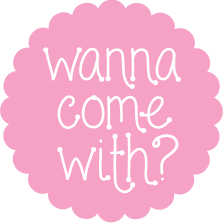 Feel free to get creative and use different nuts, or add dried cranberries or cherries to the mix. To toast the nuts, spread them in a single layer on a baking sheet and toast them in the oven for approximately 10 minutes, turning them every few minutes or so to cook evenly. Trust your senses – they'll start to smell fragrant when they're ready. You can do this step and then set them aside to cool while you prepare the rest of the ingredients. Once cool, chop them coarsely. This dough will be really soft and fudgy at this point, so you'll want to refrigerate it for about an hour before baking the cookies. When ready to bake, preheat the oven again to 350°F (177°C). Using a small cookie dough scoop or a tablespoon, portion the dough onto the baking sheets about 2 inches apart to allow for spreading. Or use a 1/4 cup measure if you want those really big cookies. Bake for about 14-16 minutes (or 18 minutes for the larger cookies), until the tops are cracked and they look set, rotating the baking sheet halfway through the baking time. Allow to cool on a wire rack for a few minutes before removing the cookies from the pan and allowing them to cool completely.